A team of engineers from Harvard have become successful in creating the world's tiniest radio receiver. It's made entirely from atomic-scale imperfections in a single piece of diamond crystal. The thing to wonder about it is that, these imperfections are the size of just two atoms. 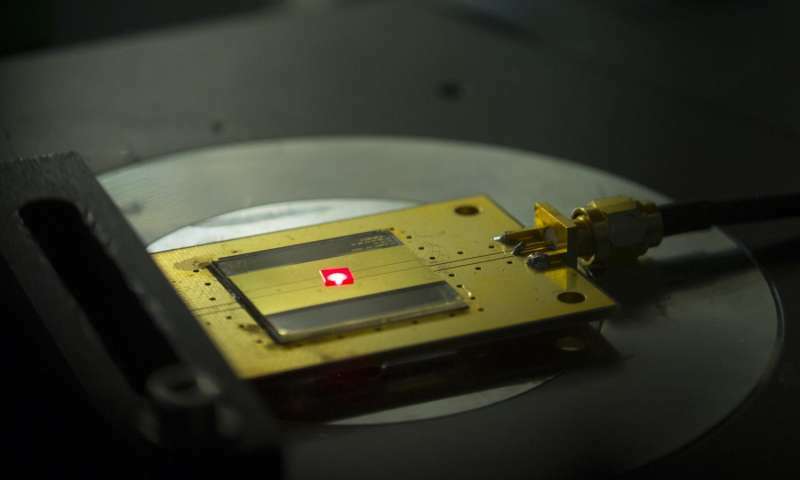 To put the entire process in simple words - Electrons inside these atoms, which are powered by laser-emitted green light, receive radio waves and convert it into red light. A simple photo-diode converts the red light into electric current. Similar to a traditional radio, speakers are used to convert the current into sound. It's important to note here that - because diamonds are so strong, the radio can withstand extreme temperatures and pressures. The scientists believe that, one day this technology can be used to communicate in space or in extremely harsh environments. Prof. Marko Loncar from Electrical Engineering department at SEAS, and his graduate student Linbo Shao came up with the idea to make use of nitrogen-vacancy centers (in other words - defects inside tiny pink diamonds). These defects are created in diamonds by replacing one carbon atom with one nitrogen atom and putting a hole next to it by removing an atom beside it. These nitrogen-vacancy centers (NV centers) are capable of detecting weak magnetic fields and emitting single photons - two applications that make them great for potential use in the fields of quantum computing, sensing and photonics. The duo from Harvard made use of billions of such NV centers for boosting the signal. However, the radio worked with a single NV center. Thanks to the property of diamonds of being extremely tough, the radio receiver created from it is extremely resilient. The team could play music at temperatures as high as 350 degree Celsius. What are your thoughts about the applications of a radio receiver as tiny as this? Share with us in comments below.